Do you know these days where you have eaten a lot or drank too much? Especially when it something really, really bad such as en extra-big piece or tarte with double butter cream, and feel really, really bad about it. Put all ingredients together and blend them. There you are done. 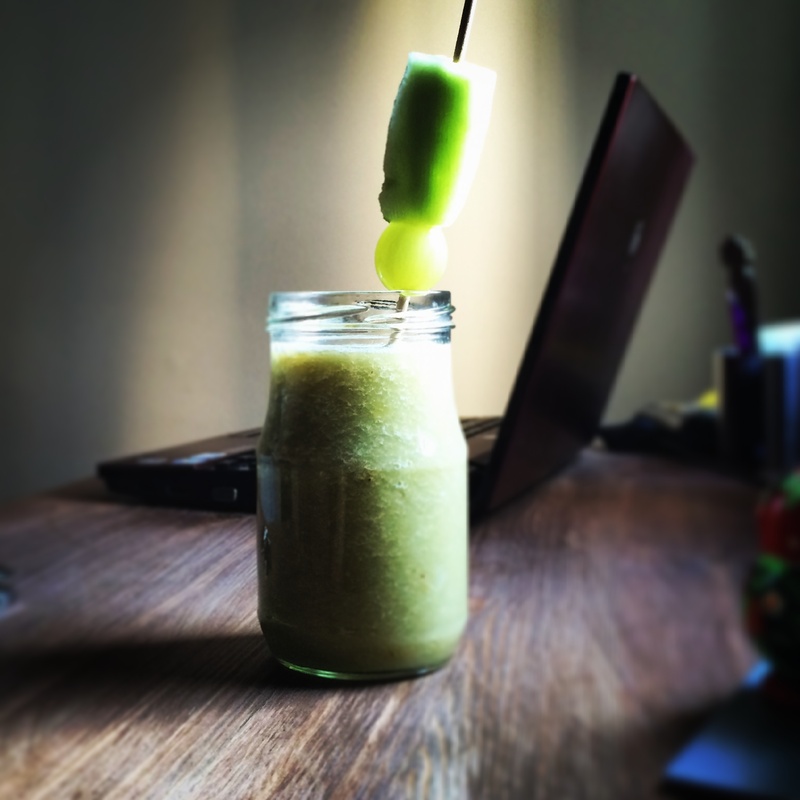 Tags: cucumber, detox, grape, smoothie, vegan, vegetarian, vegetarianfood, veggie. Bookmark the permalink.